I was really excited when Josh approached me to help his band Showbread with some graphics, a project that rolled into multiple projects for the band as well as for him personally (he's an amazing author). A dream client to work with as our styles jived well together and he gave great direction while also holding the reigns loosely and trusting me to follow my inclinations. The first project involved some shirt designs. Knowing their love of cats as well as Christian anarchism played in here. After that, they were set to do a ten-year vinyl release of their original hit album No Sir, Nihilism Is Not Practical (original artwork by the superhuman Clark brothers). We completed the outer jacket and had the innards laid out by the time the label nixed the project, but it was still a load of fun to work on 're-working' a classic piece of art (if you were into that sort of thing in the early 2000s, which I very much was). 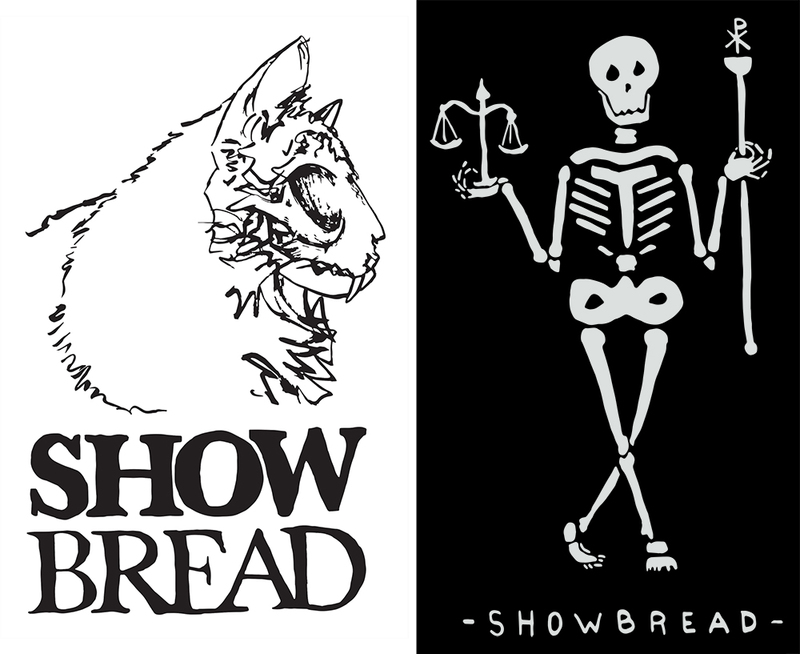 From there I worked on some personal items for Josh, and then came the sad news that they would be releasing their final album, Showbread is Showdead. Josh's request was to take a simple element from the cover art of No Sir and pair it with a reaper, completing the circle of life of the band. Legitimately some of the most rewarding projects I've been graced with working on. The Bartlett until October 2015. Really honored to have been asked by Karli Ingersoll to be a part of the Land of Plenty art show in July, 2015. The idea was to get a group of ladies together, as musicians, photographers, and designers, to collaboratively create. The musicians submitted a song to a photographer, who then created an image they felt fit the song they were given, and then both song and photograph were passed off to a designer to work the song's title or lyrics into a typographic piece over top. I contributed as a photographer for a collaboration with designer Danielle Davis for the song 'Magpie' by the band Mama Doll, and I designed for a collaboration with photographer Alycia Lovell for the song Lifting the Darkness by Abby Gundersen. You can view all the art at The Bartlett until October 2015.